We are looking for an outgoing, socially confident person to join us. 1. 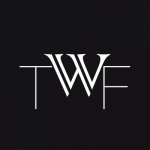 As OOH Marketing Associate at TWF, you will be responsible for setting up, implementing and managing the overall company's OOH marketing strategy. 3. Manage brand delivery across all OOH channels. 4. Maintain excellent relationship with different advertising vendors. 5. Work with different teams to come up with promotional materials for marketing, keeping in mind their effectiveness, cross-selling implications while adhering to brand guidelines. 7. Keep innovating with new marketing ideas/channels. 8. Measure and track all marketing activity. Analyze and derive inferences for meeting set ROI and KPIs.